March's Sausage Selfie competition saw our winner below win a 'pizza' of Not Dogs (yes... all 8 Not Dogs!)... what a prize! a mini Not Dogs party! You and three friends can pick a Not Dog to enjoy each totally on the house! 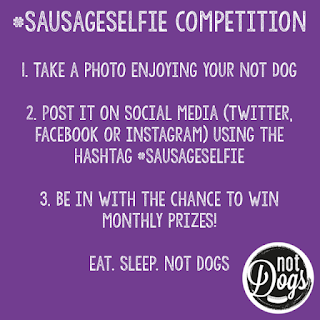 As usual, upload your picture in April using the hashtag #SausageSelfie to be in with the chance of winning. March’s #SausageSelfie Competition - Win a Not Dogs 'Pizza'! A ‘pizza’ of Not Dogs! 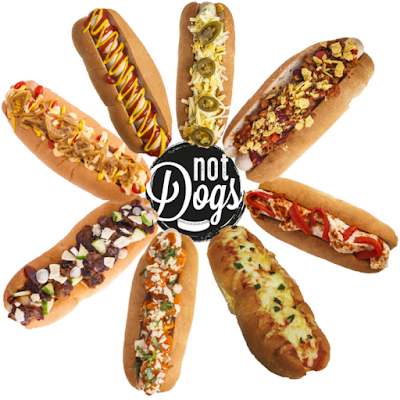 The whole Not Dogs menu… Plain Jane, Kickin’ Katie Nacho Dog, The Original Frank, Hello Houmous, Cha-Cha Chilli, Ticklish Tikka, What the Duck and The Pizza Mark-herita Dog! So either you bring 8 friends with you to enjoy this amazing prize or… you eat them all yourself - we won’t judge! 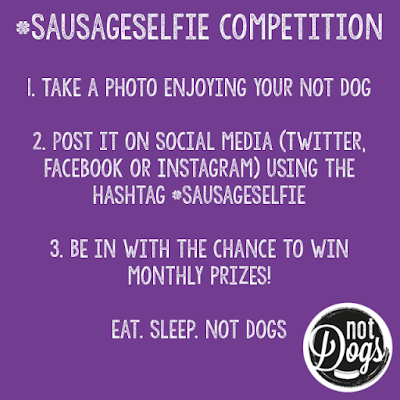 As usual, upload your picture in March using the hashtag #SausageSelfie to be in with the chance of winning. 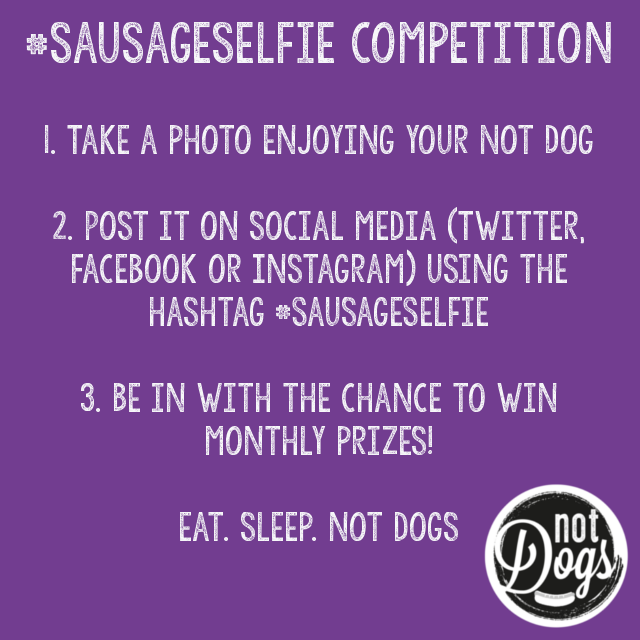 The Month of Love = a Double #SausageSelfie Competition! February, the month of love, is one of our favourites of the year so to celebrate it's a double #SausageSelfie competition this month! A Double Not Dogs Feast on the House! January's winner brightened up our social media feed with this fantastic #SausageSelfie so give it your best and get sharing those double smiles! They are now the proud owner of some Not Dogs merchandise! 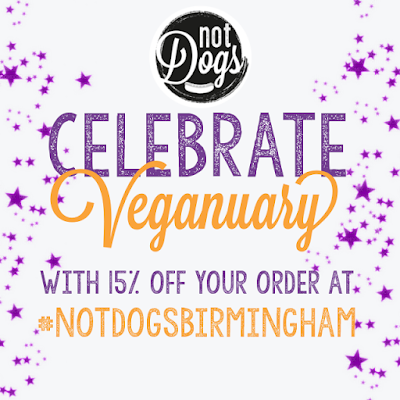 Celebrate Veganuary at Not Dogs! The Veganuary fever has caught us at Not Dogs Birmingham! To celebrate we’re giving you 15% off your order for the whole month! Simply show this image to Crew and they’ll do the rest! As the Veganuary team say there’s lots of reasons to try going vegan for the month of January… it could be because of your love of animals or maybe you want to kick off 2019 positively and make yourself feel good whilst helping the environment. Or do you love a challenge and want to add Veganuary to your New Year’s Resolutions and see as trying vegan as the healthiest start to the year? 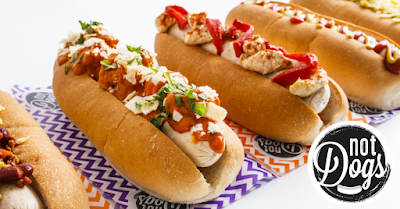 Whatever the reason, Not Dogs can make the challenge a little easier with our meat-free menu - all of which can be made vegan of course! Why not step outside the norm this January and choose a vegan rather than a veggie option when you’re at Not Dogs? We can’t wait to see your Veganuary #SausageSelfie pictures! Our deli-dog the perfect healthy treat this January, our house-made houmous recipe is packed with plant-based protein and high in fibre for digestive and gut health. 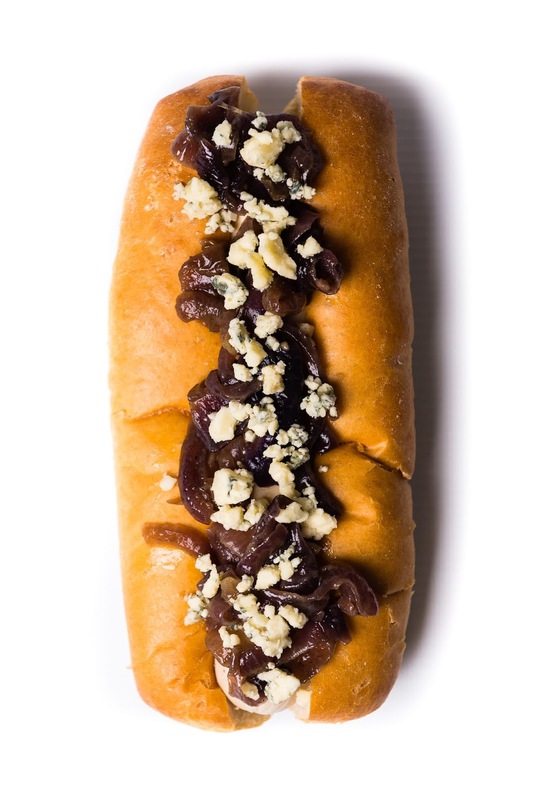 Whether you choose to enjoy this on a Not Dog (our favourite way! ), with vegetable sticks or spread onto a sandwich this recipe is sure to be a top #Veganuary recipe! 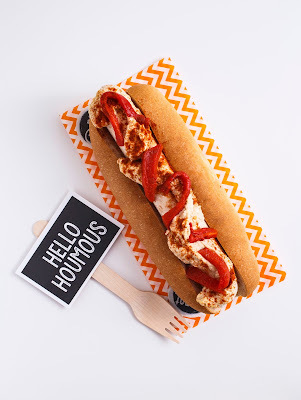 Serve immediately and grab a #SausageSelfie to post online! Hello Again to the Not Dogs Christmas Menu! We are so excited to present to you the special Not Dogs Christmas menu filled with our favourite Christmas treats with a Not Dogs twist. This recipe was a big hit at the Oxford Christmas Market which we did for two years running. 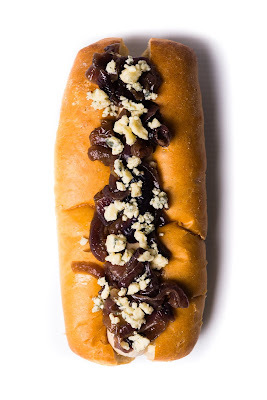 We love the mix of warm, spiced onions with the sharp, creamy stilton. We wanted to recreate all the delicious Christmas dinner tastes in a burger and offer something extra special to our fantastic customers. Deliciously creamy gingerbread Nice Shake topped with cream and your own little gingerbread man! It's pretty amazing (even if we do say so ourselves)! 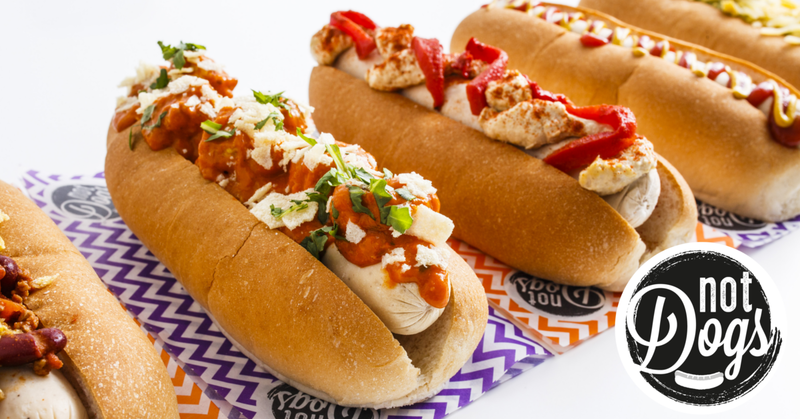 Of course, all our Christmas items are available vegan and you can enjoy this special menu at Not Dogs Birmingham from the 12th December until the 6th January. December Has Arrived and So Has Our Newest #SausageSelfie Competition! A New Year's Feast at Not Dogs for you and a friend! 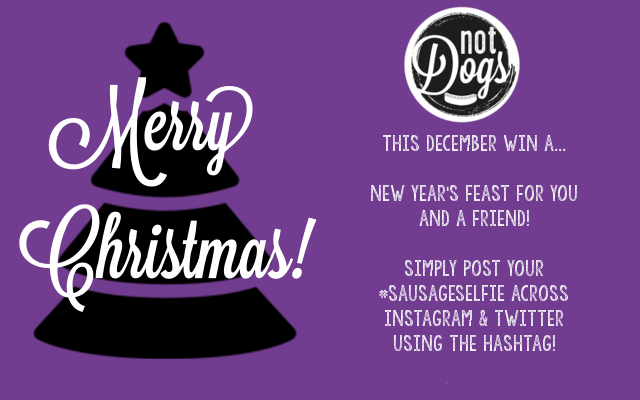 Combat the post-Christmas New Year blues with something to look forward to by simply uploading your #SausageSelfie this December on Instagram or Twitter for the chance to win! Here are November's winner (or winners!) who won 25% off Not Dogs for Life... we just loved this cosy selfie posted on Twitter! Look forward to seeing lots of you over the festive season!